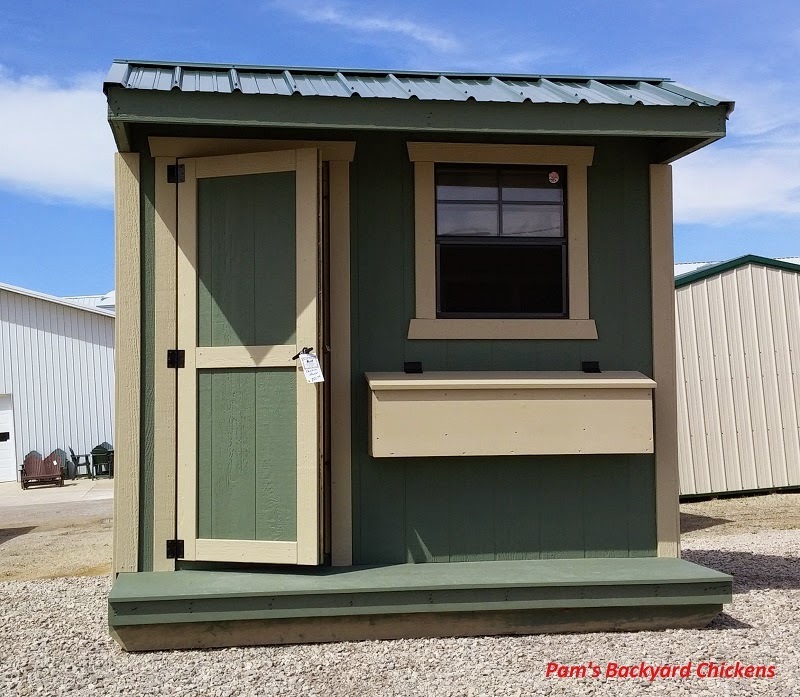 If you’ve got a backyard flock, or are just starting one, chicken coops are usually top of mind. We’ve had a flock for years and we had to build our coop from scratch since we live on a hill and the entrance to our backyard is limited. So we couldn’t move a pre-made chicken coop into our yard. But I’m always looking at coops wherever I find them. I love to see all the features and styles. And the pre-made coops are usually very pretty and so easy! I recently visited a farm store and had a blast checking out their selection. Looking at them through a veteran chicken keeper’s eyes, I wanted to share my finds and my thoughts. This is a hugely popular type of coop. You can find them easily on the internet, in catalogs and usually stores that cater to farm folks. 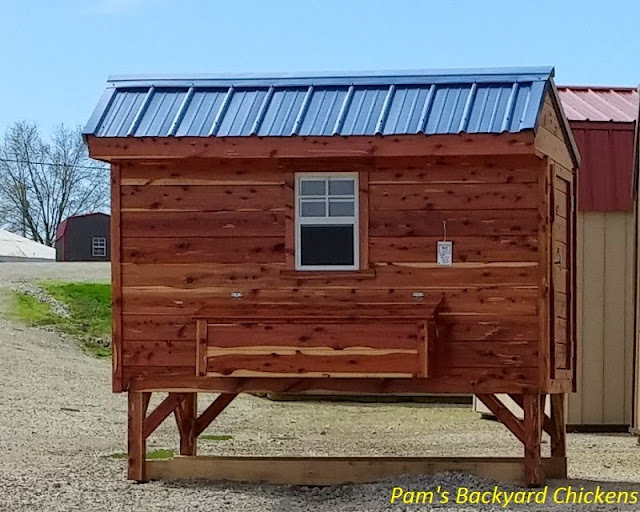 Pros – This coop has built-in nest boxes that are easy to access and clean from the outside of the coop. 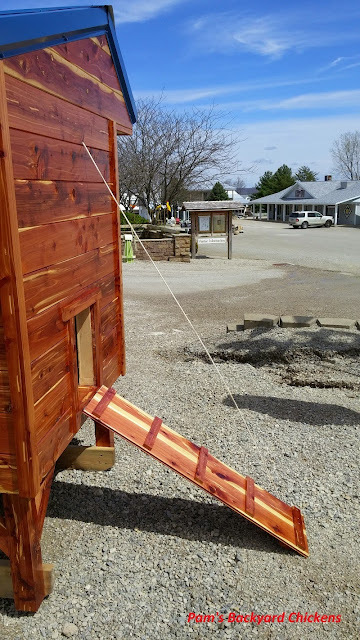 The coop in the picture has a moveable ramp can be lowered and raised from inside the main door. These coops have good windows for ventilation and a small footprint. Cons – These types of coops are not easily expandable. You can’t walk into coop so if you need to get a chicken out of the coop or look at your chickens closely; you’ll have to fit into a small space. I was able to climb in and move around, but my husband was not. You do need to build a run to give your flock safe outside access. This coop does not sit high off the ground and features a small front porch. 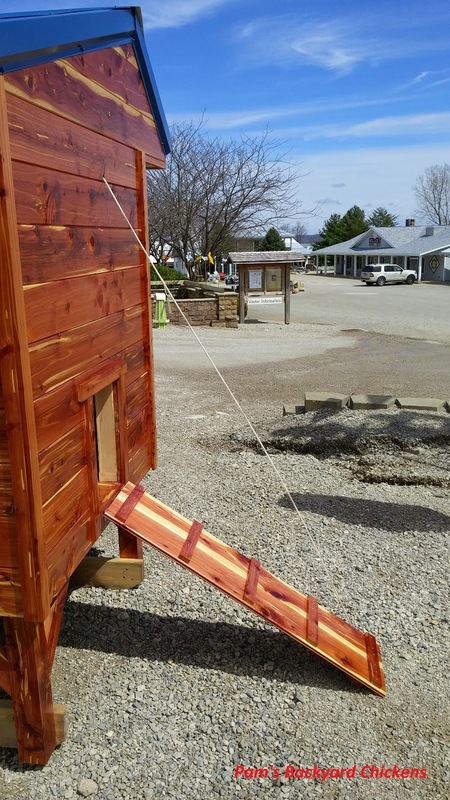 Pros – This coop has built-in nest boxes and good windows for ventilation. You can easily walk into the coop for cleaning and to access your chickens. Like the elevated coop, it requires only a small footprint. Cons – This type of coop is not easily expandable. You’ll need to build a run for safe outdoor access. 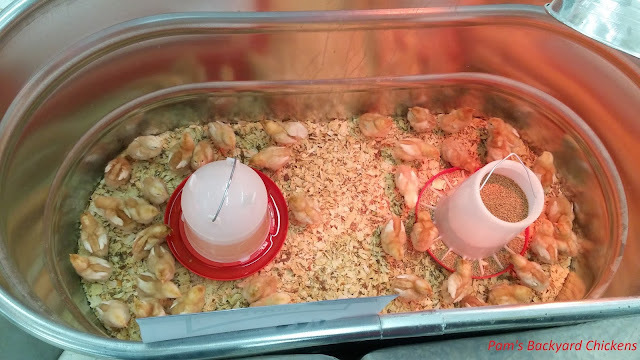 As you can see from the picture, these were offered in small and super small versions and can be found on the internet, in catalogs and in farm stores. 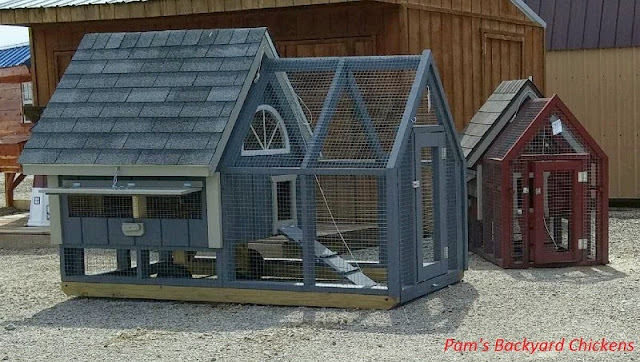 Some have run expansions so you can give your chickens more room to roam. Pros – The pictured coops have wheels so they can be moved to different locations. These coops are small and are easy to clean. These coops offer a small footprint so they’re perfect for more urban lots. Cons – These coops don’t accommodate many chickens. This isn’t really a coop, but it is something that allows chickens to safely graze throughout the day. It is lightweight and has wheels so it can be easily moved. 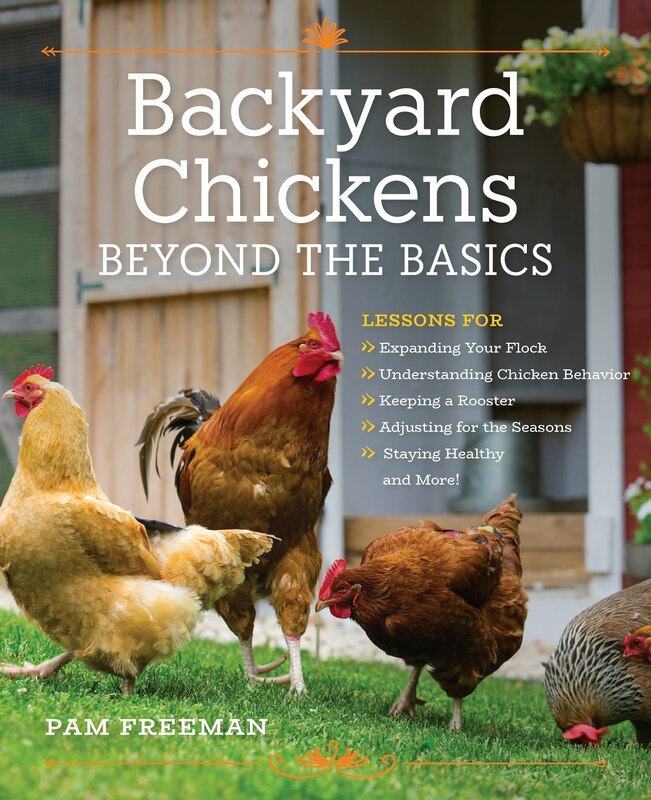 There is a section where the chickens can get out of bad weather. This doesn’t accommodate many chickens but can be a perfect complement to the combined coop and run. Whatever coop you build or buy, be sure to keep in mind the limitations of your land, the size of your flock, proper predator proofing, ease of use and good ventilation. If you meet all these requirements, both you and your chickens will be happy.